mykind Organics Vegan D3. . .ORGANIC SUNSHINE. The Biggest Innovation in Vitamins in Over a Decade. 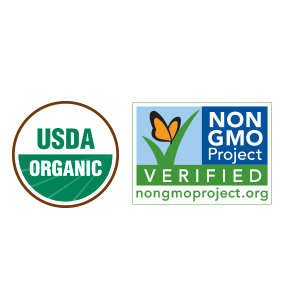 Made from real, nutritious food - not lanolin, (cholesterol stripped from sheep's wool) mykind Organics Vegan D3 is the FIRST Certified USDA Organic, Non-GMO Project Verified Vegan D3 and is offered in a delicious vanilla spray! Vitamin D can be found in many foods such as dairy and fish - you can even get your dose of vitamin D simply by sitting in the sun. And yet, many individuals could be deficient in the all-important nutrient for their health. Why? Certainly those who are vegan or vegetarian would not be getting enough D3 in their deit and would want to consider supplementation, along with those in northern climates who don't spend as much time outdoors in the sun. Regardless of whether you fall into one of these categories or not, changes are you may not be getting adequate amounts of vitamin D. So what's the answer? 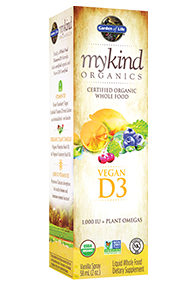 mykind Organics Vegan D3.